To recap how we got here check out part 1, part 2, and part 3. Last year saw a slight change in the direction of top-tier tactics, as unstructured attacking plays gained favour. Whether that’s down to the reduced interchange starting to have an effect, teams simply trying to find a way around the structures that had become so prevalent, or a combination of factors, the teams heavily reliant on structure found themselves lagging behind. This season I’m expecting that trend to continue, which is one of the main factors I’ve used separate sides throughout my ladder and becomes especially relevant in my top five. The Broncos’ approach to the game since Wayne Bennett’s return goes against many of the prevailing attitudes in the NRL. They have a reputation for having a small forward pack, conceding metres, lacking a dominant half, having a poor kicking game, and struggling with building pressure and game management. Yet their stats from last season showed them being one of the most potent attacking teams in the comp, averaging the second-most run metres and points per game, placing equal second for try’s scored, third and equal third for tackle busts and line breaks respectively, fourth for passes in general play, and fifth for offloads – all while conceding the third fewest points per game. All this while contending with spending the second least amount of time in the opposition 20, receiving the fewest penalties (though also conceding them at the third lowest rate), averaging the third fewest attacking kicks, and committing the third highest amount of errors. This ability to score points without the need for quality field position, while still enjoying a reliable defence (as demonstrated by last season’s impressive points differential) should be enough to cement their spot in the top five – if not higher. Contrary to public opinion, Brisbane’s biggest weakness in recent seasons has been the depth in their backs. With tactics reliant on engaging the backs early in the count, disruption to their back-line can have a massive impact on their gameplan and over their last three seasons, their biggest defeats have coincided with reshuffling of or early game injuries to their back five. With a lack of quality wingers waiting in reserves, the Broncos would do well to keep a close eye on young NFL convert Silas Redd’s progress in the Ipswich Jets. Disruption within the halves has had much less impact. While Ben Hunt’s loss has been well publicised, he spent less than half of 2017 in the halves and they still finished the regular season in the top three. Anothony Milford and Kodi Nikorima were also the most successful pairing the club used in 2017 and while Milford’s form received some criticism, he was playing through injury from the Origin period on and required surgery in the off season. Overall, the club has a fairly even draw, though they face my bottom tier teams less then any team outside of that tier and their starting run may be hampered by being unable to field their full complement (especially in the crucial back line) until at least Round 4. Origin is rarely kind to the Broncos and this season doesn’t look to change that trend. This coupled with a tough run home has kept them out of my top four. Only a fool would bet against the Cowboys in Johnathan Thurston’s final season. Boasting several superstars capable of individually carrying a team across the line, the concept of having the entire roster unified and focused on sending off the club’s greatest ever player in his final season is, well, a chilling proposition for rival teams. Their forward pack is arguably the best in the competition, featuring Jason Taumalolo, Matt Scott, Jordan Mclean and Coen Hess, all with representative experience. Working off the back of the platform set by these forwards you have Thurson and Michael Morgan, two of the most dangerous halves in the competition. They have both the capacity to blow teams away and the experience and ability to come from behind and close out games. That said, they are by no means unbeatable. It may take a bit of time for Thurston and Scott to get back to their best after long-term injuries. Thurston, in particular, has a history of shoulder issues and cops heavy attention from opponents every time he plays, which may lead to some time on the sideline. 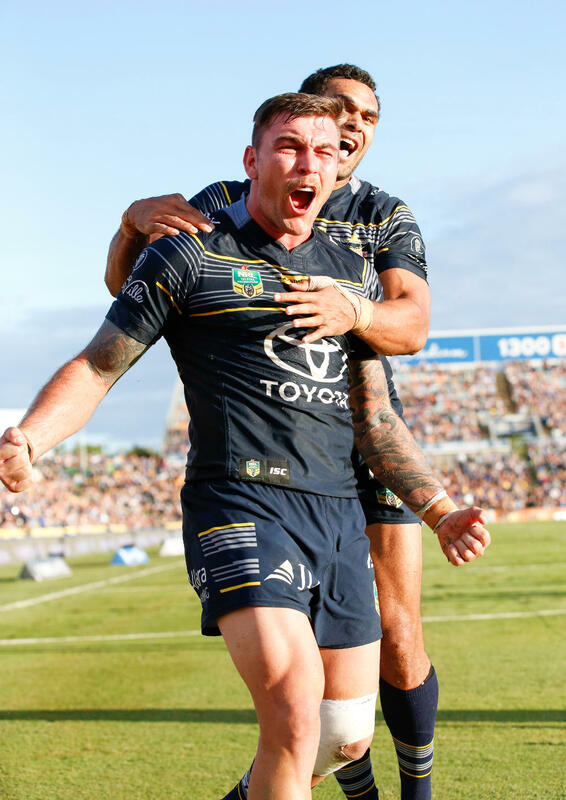 A team boasting as much talent as the Cowboys receives a lot of attention from representative selectors and are likely to be fielding a heavily depleted side during Origin, though having both JTs through the period may soften the blow. While the opening rounds have potential to be difficult, the lead up to Origin eases substantially, featuring five fixtures against my bottom tier teams. The Origin period will see them coming up against teams that are historically less affected, which may cause some upsets. Their charge to the finals will mainly feature matches against mid-tier teams fighting for a spot in the eight. Overall, their roster should see them feature in the top four, though Origin and a heavy travel schedule may see them just miss out on reaching the top spots. 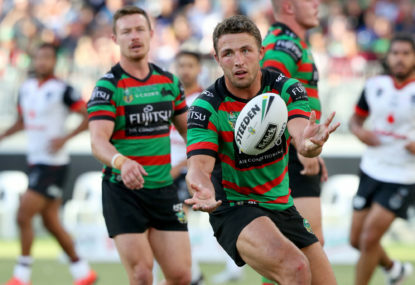 There aren’t many experts getting behind Souths, and with good reason. 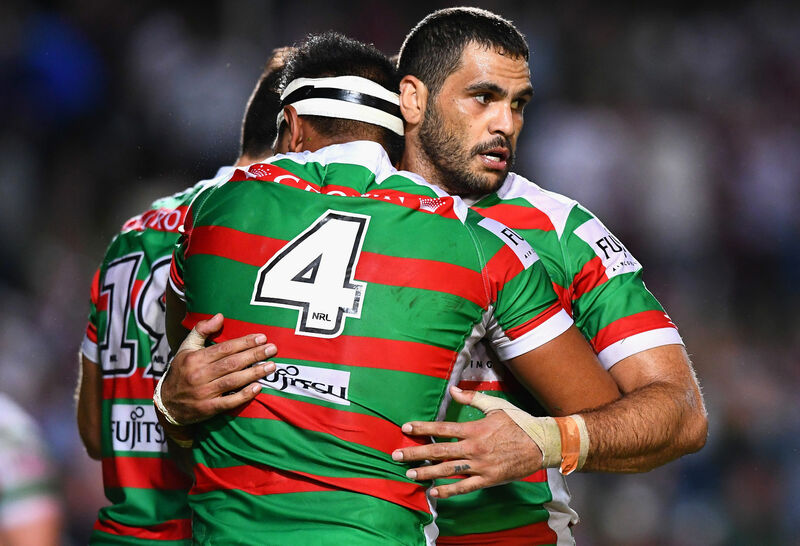 The Rabbitohs of the last few seasons have looked tired, mentally and physically, their gameplan has appeared decidedly stale and predictable, there were rumours of a divided dressing room, and they’ve been plagued by injuries to their key men. But this year there’s change in the air, and it all hinges on new coach Anthony Seibold. This might sound like I’m laying blame on the shoulders of former coach Michael Maguire, but the biggest advantage of sacking an under-fire and under-achieving coach is that it simply takes away the players’ excuses for poor performance – if only for a season. However, Seibold brings more than simply being new. Reports from Redfern tell of a coach who’s put a lot of work into uniting and motivating the playing group, while also adjusting the training workload to be more beneficial to the squad than the notoriously rigid regime preferred by Maguire. If this pays off, Souths have the roster to shake things up. Featuring a core group of players remaining from the 2014 premiership-winning team, mixed with some rising stars, the forward pack has the size and ability (as long as they can cut out the errors in their game) to lay a solid platform for the back, have the strike power and ability to find the line. They have the potential to punish opponents through the middle as well as on kick returns and if they can get on a roll they’ll be hard to stop. While I certainly don’t expect their fortunes to change overnight, their draw is favourable and they won’t expect to face any successive match-ups against top-tier teams until the last month of the season. A schedule with the potential for several long winning streaks coupled with only having to leave their home state on three occasions (all within a four-week period) should allow the club to amass enough competition points to finish among the top teams. The Storm are the most professional outfit in the league. Even the loss of Cooper Cronk is unlikely significantly dent their premiership chances. That’s not to say he won’t be missed, but Melbourne have the systems and structures in place to limit his loss. We’re talking about a team here that both scored the most and conceded the fewest points per game and placed among the top teams in almost every key metric in both attack and defence, clearly they’re not reliant on individuals. The only statistic that suggests any weakness is that they concede more penalties than any other team, though even then it’s generally on their terms and is softened somewhat by the amount of penalties they receive. The Storm really hurt teams through their back three, which is where the majority of their attack is focused. As a team, they’re in the bottom three when it comes to passing the ball, yet they lead the comp for kick returns, kick return metres and line breaks. They don’t blow teams apart so much as wear them down though defence and game management – using smart dummy half runs, their forwards’ footwork, and tactical kicking to gain field position to keep the opposition under pressure. While their middle suffocates teams though defence, the edges punish cracks that appear. The pure speed they enjoy on the wings and at fullback mean they can turn what would be half chances for other teams into certain points. 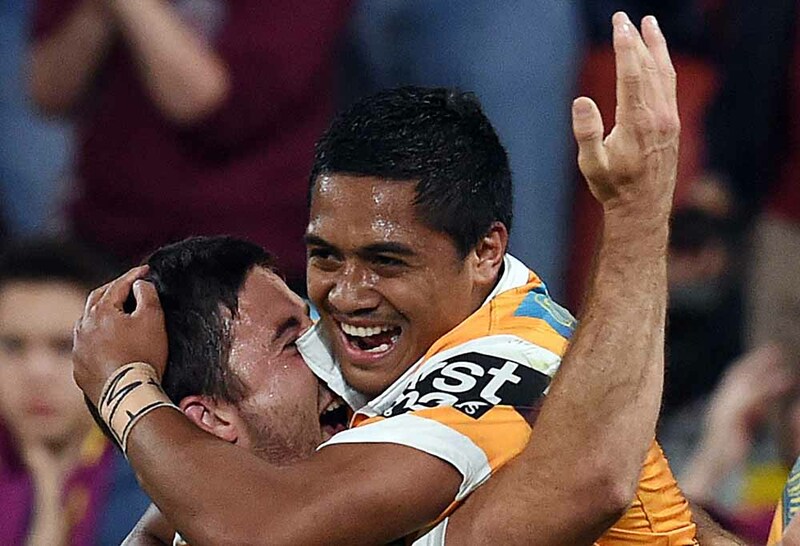 It’s no coincidence that both wingers shared the position for top try-scorer last year. That doesn’t mean they’re untouchable though. They can be vulnerable early in the game before they can establish their dominance and if they can be kept on the back foot, desperation can force uncharacteristic mistakes. Still, Melbourne’s ability to counterpunch means teams still have to play a near-perfect game and turn any early opportunities into points if they want to win. As far as their draw goes, well, they only face my top-tier teams on six occasions, and two of those will be against depleted sides during Origin. Realistically though, Melbourne will be favourites no matter who they face and the ‘difficulty’ of their draw is unlikely to affect their finishing position anyway. The only reasons I’ve got them missing out on the minor premiership is their demanding travel schedule and the heavy toll that Origin will have on their roster. 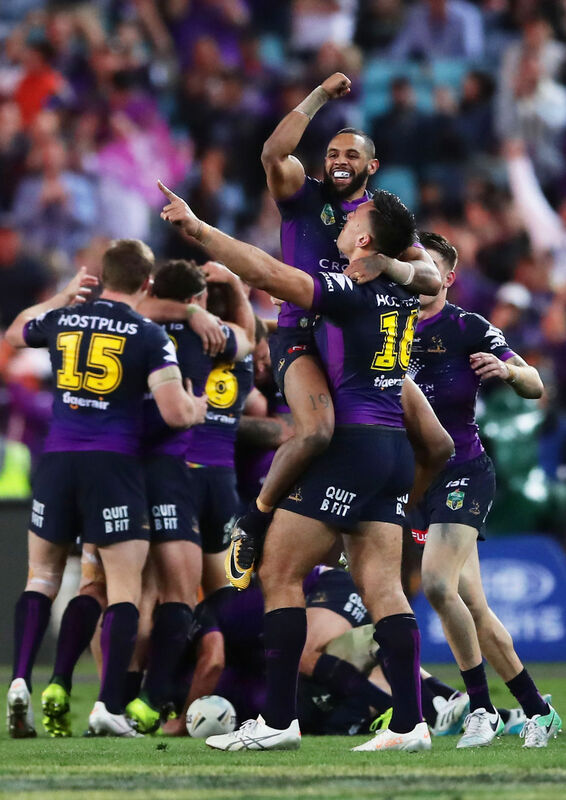 For many, the simple addition of Cooper Cronk and James Tedesco to the line up was enough to push the club into top position, or at least solidify their spot in the top three. Personally, I don’t think it’s going to be that simple. It remains to be seen how Tedesco will adjust to being a key part of a high-profile club – it’s a different proposition to being the best player in a struggling side. If he doesn’t find form quickly, he may find young Latrell Mitchell pushing a case for the fullback role. That said, Tedesco’s speed and ball-running ability will certainly be appreciated in attack. Cronk, on the other hand, is used to the grind of being in a high-profile team. While he is certainly capable of individual brilliance, the biggest benefit he brings is his ability to execute a gameplan. With big bodies floating on the edges, his kicking game will definitely be appreciated. 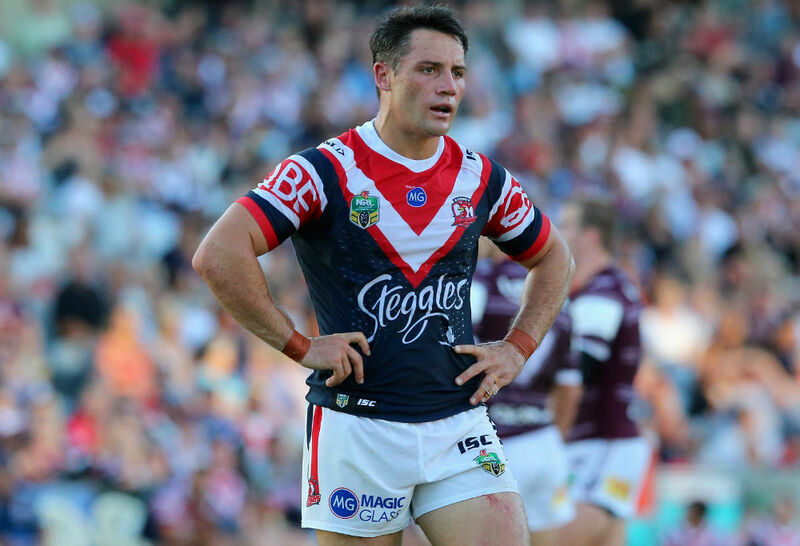 The Roosters will also be hoping Cronk brings some much-needed game management and composure in the clutch moments. It may take some time for the spine to click, with two new members and Luke Keary coming back from a broken jaw, but a team that has finished in the top two on four occasions the last five seasons should not go backwards with the addition of two rep players. As for the main reason I’ve got them taking out the minor premiership? The boys from Bondi couldn’t get a more favourable draw if they picked it themselves! They face my top sides on only six occasions, and half of those are in the last month of the regular season. The only time they face the Storm will be mid-Origin, at their most vulnerable. Cronk being unavailable for selection is a massive advantage during this time and most of the teams they’ll face will be in my bottom five. To top it off, the Tricolours only have to jump on a plane on four occasions, and one of those was their choice to play in Adelaide. Really, even if the Roosters struggle against the top sides, they should finish around the top of the ladder thanks to that draw and, if everything clicks, they have the roster to take them to the top. So there you have it, my ladder is complete. Now, while I’m pretty confident (blind optimism at its best) it in no way represents how I think the finals, and eventual premiers, will play out. But that’s a story for another time.